Yearbooks, family vacation pictures, a piece of your wedding cake, and your big toe: this is a small list of all the things that are worth saving in your lifetime. Your big toe is especially worth it, since it’s the only one you’ll have for your entire lifetime. When you’re stricken with a case of hallux rigidus, get treatment from Foot Doctor of the East Bay. Hallux rigidus, another term for “stiff big toe,” is arthritis in the joint at the base of the first toe. Over time, the cartilage wears out on the ends of the bones. When this happens, the bones rub together, creating pain and bone spurs. This “wear and tear” type of arthritis is also known as osteoarthritis. In fact, this condition is the most common arthritic problem found in the foot. When this happens, you can no longer bend your toe up or down. You may not realize how much you need your big toe to push off when you walk until you’re afflicted by this condition, which can make walking very difficult and painful. You might even find yourself limping and avoiding the area altogether. You can also experience swelling around the joint, also known as the metatarsophalangeal (MTP) joint. The main causes of hallux rigidus originate from improper foot strike and an abnormal foot structure. The way your foot hits the ground might put more pressure on the big toe, which can cause the “wear and tear” type of arthritis to develop faster. 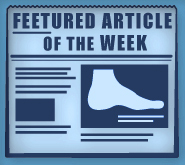 People who have flat feet or tend to overpronate are more at risk of developing the condition. You can also be at risk if others in your family have this condition and type of foot structure. An occupation that involves a lot of squatting and crouching, such as an electrician or plumber, could be a cause for your problem. Other people experience symptoms when they’ve sustained an injury like stubbing the toe. Rheumatoid arthritis and gout can also irritate and inflame the joint, which makes it more prone to developing arthritis sooner. Most people develop the condition when they’re 30 to 60 years old. The best method of prevention is to avoid doing too much damage to the big toe joint when you don’t have to. Instead of high-impact activities like running or tennis, try engaging in activities that take pressure off your feet, like swimming and riding a bike. When you first start to feel pain, make sure you get help from Dr. Michael Stein and Zeindelin Ahmad, DPM. 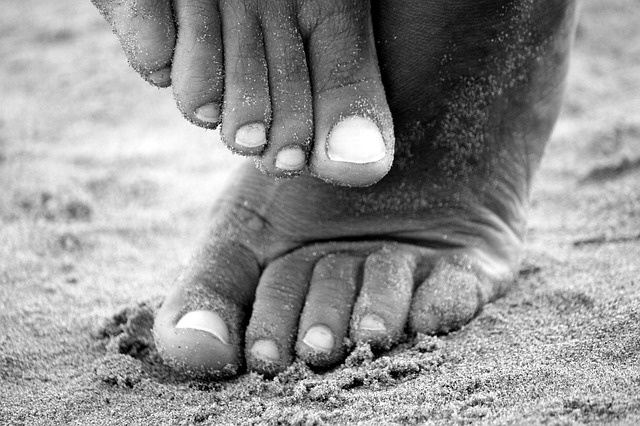 We can treat hallux rigidus early to slow the progression of your pain and stiffness. We’ll always suggest conservative treatment first, like icing and heating the toe area to decrease inflammation and pain, taking oral anti-inflammatory medications, and injecting medication into the joint. In addition, you’re going to have to be careful about your shoe choice. Make sure you wear a stiff-soled shoe with a large toe box. The larger box will ensure that the shoe doesn’t rub on the painful area. We can also suggest some rocker-bottomed shoes and make custom-made orthotics in our office to relieve pressure on the joint. If your toe does not improve, a return visit might determine that we need to discuss surgery as an option, depending on the severity of your arthritis. We will only recommend this after all non-surgical options have been tried and exhausted. There are many different options for your surgery. Some methods include cleaning up the area, while other procedures involve joint replacement. Don’t take your big toe for granted. When hallux rigidus strikes, it’s imperative that you seek treatment to save your priceless, one-of-a-kind digit. Make an appointment with Foot Doctor of the East Bay at (510) 483-3390. We have offices located in San Leandro, Los Gatos, and Pleasanton for your convenience.